In his spare time, he is involved in a family farming operation based at Casterton in Western Victoria. Dennis was the Foundation Director of the Postgraduate Program at Marcus Oldham College until his resignation from that role at the end of 2011. He is currently a Fellow of the Centre for the Study of Rural Australia where his key role is managing the production and dissemination of the Centre’s publication (Perspectives on Rural Australia). 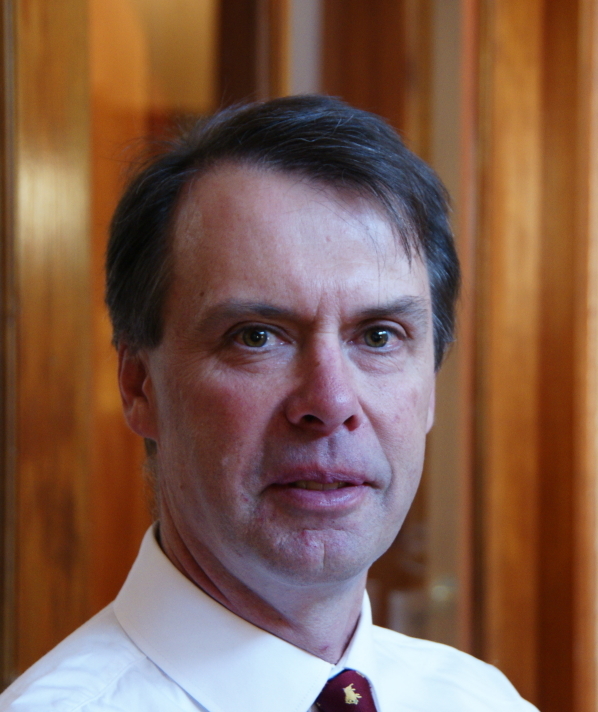 Prior to his appointment as the Director of the Marcus Oldham Postgraduate Program he held a number of key roles at leading universities in Australia. Most recently as Head of the Dookie Campus and as Associate Dean Teaching and Learning in the Faculty of Land and Food Resources at the University of Melbourne. 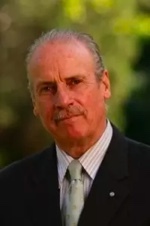 Prior to that he was Head of the School of Business at Southern Cross University, NSW. He has a strong history of community engagement as Chair of the Australia Holiday Coast (NSW) Regional Development Board, Chair of the Dookie Biolinks Program, Member of the Dookie Development Forum and Chair of the Dookie Community Fund. He is currently a member of the Management Committee of the Victorian Farmers Market Association and is chair of the Winton Wetlands Committee of Management. Dennis continues to be actively involved in teaching into the College’s undergraduate and postgraduate programs. A major component of that role is managing the research projects (theses) of undergraduate and postgraduate students. Dennis is a graduate of the University of Sydney and has a Masters degree from the University of Manitoba, Canada and a PhD from Oregon State University in the USA. 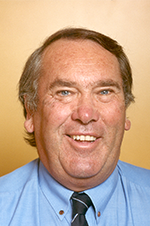 Professor Tim Reeves has worked for several decades in agricultural research, development and extension, mostly focussed on sustainable agriculture in Australia and overseas. He was a pioneer of no-till research in NE Victoria, whilst based at the Rutherglen Research Institute. His professional career includes positions in the Department of Agriculture, Victoria; Foundation Professor of Sustainable Agricultural Production, Adelaide University (1992-95) and Director General of the International Maize and Wheat Improvement Centre based in Mexico (1995-2002). Recent roles include: Member, United Nations Millennium Project Task Force on Hunger; Chair, NSW Agricultural Advisory Council on Gene Technology; Member, European Commission Expert Group for Evaluation of Framework Projects; Chair, Academic Advisory Board on International Community and Development Studies, and Adjunct Professor, Deakin University; Professorial Fellow, Melbourne University; Chair, Board, Joint Centre for Crop Innovation, Melbourne University. He is a Board Director of GRDC and a former President of the Australian Society of Agronomy. Dr Simon Livingstone has been Principal of Marcus Oldham College in Geelong, Victoria since 2003. Marcus Oldham is the only private agricultural and equine management college in Australia and the institution has successfully operated since 1962 attracting students from all over Australia and overseas. Dr Livingstone gained practical industry experience from working for 8 years on extensive cattle stations in the Northern Territory, the Gulf of Carpentaria, Central Queensland and New South Wales as a Jackeroo, Stationhand and Overseer with both Stanbroke and Twynam Pastoral companies. 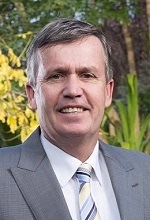 His educational management experience has included holding senior positions at agricultural colleges in both Queensland and Victoria. His PhD is in higher education and he holds a Master of School Management, a Graduate Diploma in Further Education and Training, a Bachelor of Business degree and an Associate Diploma of Farm Management. He travelled extensively for 8 weeks in 2008 to the United States and the United Kingdom and discussed with university leaders the trends, opportunities and challenges impacting and shaping global agricultural and equine education. During 2011 he returned to the U.S. to visit centres of leadership and entrepreneurial development. He is a graduate of the Harvard Business School’s Executive Leadership Program having completed the course at Boston in the United States. Dr Livingstone serves on the Victorian Government Higher Education Advisory Committee. He is a Board Member of the Council of Private Higher Education and a Fellow of the Australian Farm Business Management Network. 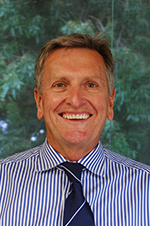 Mr Sam Inglis has an extensive background in the development, management and delivery of educational and training programs at a tertiary level for over 20 years. This involves major agribusiness training programs for corporate clients such as ANZ, CBA, NAB, Regional Councils, Landmark Financial Services and Elders. Mr Inglis has an ongoing involvement in the development and delivery of youth rural leadership programs for local government across Victoria, an ongoing involvement in the Marcus Oldham Rural Leadership Program, plus delivery of Leadership training for industry groups such as Southern Farming Systems and Community Capacity Building Initiative. Dr. Peter Smith has a background of employment in the mining industry, in higher education and in vocational education and training. Prior to joining Deakin University in 1999 he had been 15 years at the Gordon Institute of TAFE, finishing there in 1998 as General Manager – Business Development. Peter has a long experience in management and leadership roles in advanced education and in vocational education and training, prior to joining the university sector. Since joining that sector he has become a senior researcher, focusing on teaching and learning in VET. He has published some thirty papers in refereed journals in the fields of VET and flexible delivery, and recently published a new book focusing on learning in organizations. Much of Peter’s research has focused on apprentices learning both on the job and off the job. He also has a track record of research in the agricultural sector, again focusing on the deployment of skills to work. Peter’s research has been recognized for its excellence in winning a national award for excellence in his PhD thesis, in 2001; and for being selected as best paper for 2003 by the European Learning Styles Information Network. Peter has been the principal researcher in four National Centre for Vocational Educational Research projects, and a contributor to a fifth. He has also conducted research work for the Australian National Training Authority, and for reframing the Future. He sits on the editorial Board of the international journal, Distance Education, and has until recently been an executive Member of the Australian Vocational Education Research Association.